This exhibition focused on the career of Paris-born Éugene Bourdon, The Glasgow School of Art’s first Professor of Architectural Design (appointed in 1904) whose life was tragically cut short when he was killed whilst serving with the French Forces at the Battle of the Somme in July 1916. 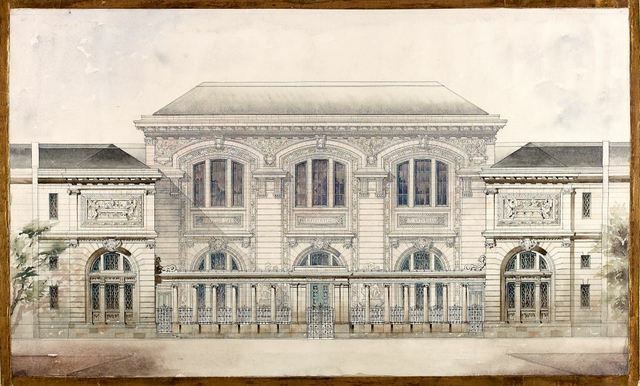 Held by the Archives and Collections of The Glasgow School of Art are over 100 architectural drawings produced by Bourdon in the 1890s, whilst he was a student of the École des Beaux-Arts in Paris. This first ever exhibition dedicated to Bourdon highlighted many of these previously unseen works.